Perfectly lighting a renowned modern and contemporary art museum, Soraa’s LED lamps now illuminate the Nicolas Sursock Museum in Beirut, Lebanon. Built in 1912 by aristocrat Nicolas Ibrahim Sursock, the villa was given to the city of Beirut as an art museum upon his death. The Sursock Museum first opened its doors to the public in 1961 with a mission to collect, preserve and exhibit local and international art. “Museums are living facilities that must constantly adapt to meet evolving needs. Soraa LED lamps definitely contribute to the Museum’s mission—and are better suited to meet the Museum’s needs of today and tomorrow,” said Majdi Hajjar, Lighting Designer and Illuminating Engineer with Aartill, in Baabda, Lebanon. When the project was originally specified in 2011, Aartill designers chose iGuzzini track-mounted fixtures but opted for halogen lamps, because LED luminaires available then were not acceptable in terms of reliability and light quality for the museum. “At that time, we decided to specify fixtures for AR111 and MR16 halogen lamps as we were strongly confident that sooner or later high quality LED lamps would be available for retrofit. 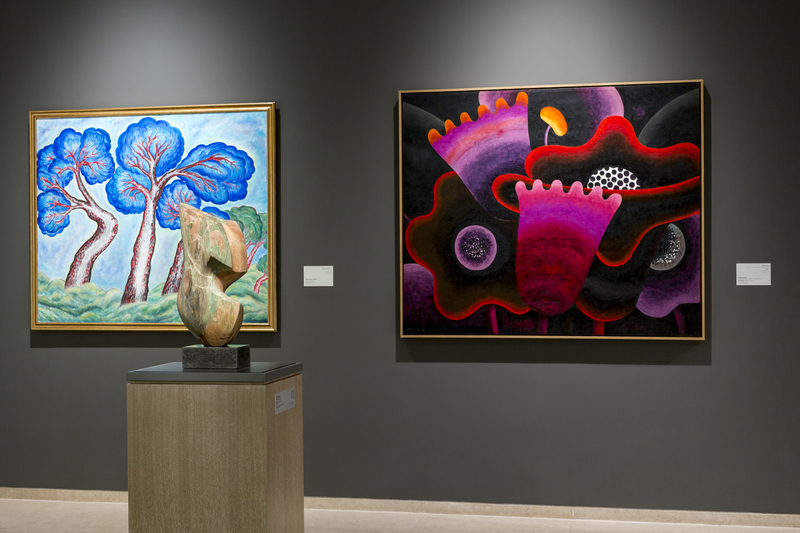 With Soraa’s lamps, we have been able to fulfill the lighting requirements for the Museum, allowing it to dramatically save on energy costs while protecting and perfectly illuminating the artifacts on display,” Hajjar continued. By replacing hundreds of halogen lamps with Soraa LED lamps, the museum reduced its energy costs and dramatically extended the lamp lifespan while maintaining tight beam control and outstanding colour and whiteness rendering and consistency even when the lamps are dimmed. Aartill worked with Beirut-based distributor Unilux Group. The teams opted for Soraa VIVID AR111 LED lamps to replace the halogen lamps in the iGuzzini Express spotlights. For the iGuzzini Express recessed directional downlights, Soraa VIVID MR16 LED lamps were used. “We recommended Soraa LED lamps because of their excellent beam distribution and control. Soraa’s lamps have the narrowest available beam on the market deliving impeccable colour consistency and true to life colours,” said Joe Nacouzi, principal with Unilux Group. Soraa’s true ANSI form factor MR16 LED lamps have outstanding peak intensity; flawless beam definition and edges; and exceptional colour (CRI of 95 and R9 of 95) and whiteness rendering. Additionally, Soraa's spot LED lamps are customisable with the company’s award-winning magnetic SNAP System™ accessories. With a simple magnetic accessory attachment, beam shapes can be altered and colour temperature can be modified, allowing endless design and display possibilities.